The world is more dangerous and unstable than at any time since the end of the Cold War. Is the UK ready to respond? For the first time in twenty years, an advanced military state has challenged the borders of European nations, and the security challenges in the Middle East, Africa, and South Asia have increased dramatically in scale and complexity. Russia has annexed Crimea, and Russian-backed separatists have taken much of Eastern Ukraine. DAESH (or ISIL) have seized the second largest city in Iraq, and now control areas of a territory larger than the United Kingdom. The Libyan government has retreated to a ship off the coast. The President of Yemen has fled from his capital. Boko Haram controls swathes of Northern Nigeria. South Sudan—the newest country in the world—is in Civil War. Over 10,000 civilians were casualties in Afghanistan last year. Serious instability persists in Darfur, Somalia, the Central African Republic, and Pakistan. Three million people have been displaced and two hundred thousand killed in Syria. The UK cannot afford to ignore these challenges and retreat to isolation. Global peace and security is of immense importance to the world, and to the UK itself. The UK occupies a key leadership role in international organisations, and can leverage both its formidable military heritage, and its network of alliances. It still has the capacity to play a deeply constructive role in preserving and restoring security. But the UK’s current Defence Assumptions are not sufficient for this changed environment. The 2010 National Security Strategy had assumed that “Cold War” capacities for state-on-state conflict were no longer needed, and that instead, the military would focus on ‘fragile states’, lightly-armed insurgents and terrorists, through enduring stabilisation operations (which were assumed to be relatively infrequent). The SDSR was primarily designed in the light of the UK’s presence in Afghanistan (a mission, in which the UK deployed fewer than 10,000 troops as part of a 100,000 strong, US-dominated coalition). Future Force 2020 planned to deal with one problem at a time by deploying 6,600 troops on a decade-long enduring stabilisation operation in a single country. And even US doctrine, envisaged sustaining a deployment in only two countries. Now there is a requirement to support stability in a dozen different theatres simultaneously, and to engage with both unconventional and conventional threats. The first task for the UK is to ensure that it is able to engage as part of a broad coalition or alliance in tackling these threats (which are beyond the scope of any one country). In particular, the UK must build on its strong alliance with the United States, and ensure that European NATO allies are operating at maximum effectiveness. It must use its leadership position in NATO to ensure that NATO has the full spectrum of conventional forces, trained, exercised, and psychologically prepared to defend the European order against a conventional threat. The UK’s commitment to spend 2% of GDP on Defence, will be an important mark of seriousness to our US allies, and an important symbolic marker for other NATO countries. 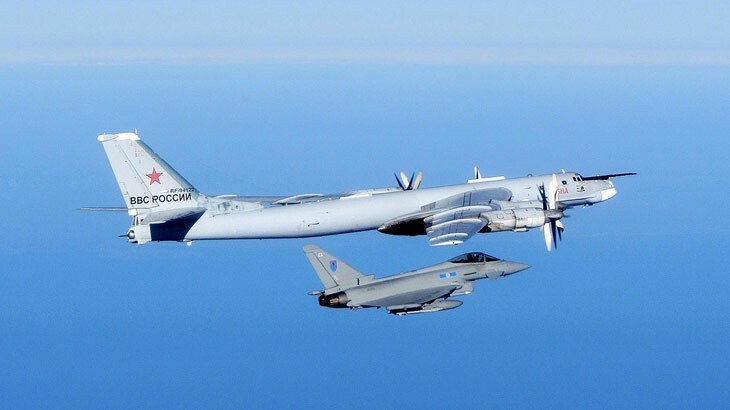 Second, the UK must rebuild its conventional capacities eroded since the Cold War. The requirements are many, including Maritime Surveillance, Nuclear, Biological, Chemical and Radiological warfare training, developing a Ballistic Missile Defence capability, an enhanced Navy and Air Force, a comprehensive carrier strike capability, and full manoeuvre warfare capacity. This will involve demonstrating a conventional and nuclear capacity and determination to deter any further threats to the European order. Third, the UK must develop new capabilities to respond to the threat from ‘next-generation’ or asymmetric (also described as ambiguous) warfare—in particular threats from cyber attack, information operations, and the use of Special Forces to support subversion. Fourth, the UK must simultaneously develop the capacity to respond to an expanding series of challenges outside Europe—terrorism, brutal authoritarian regimes (killing their own citizens), extremist groups holding large territories as pseudo-states, state collapse, civil war, and state fragility. It needs to do so concurrently, and with limited resources. This number of concurrent challenges will make the type of highly resource-intensive stabilisation operations seen in Iraq and Afghanistan increasingly unlikely. Instead, the UK may need to rebuild the capacity to repeat the successes of operations such as Bosnia and Sierra Leone, while also developing the new force structures and capacities to deal with the kinds of situations that we face in Libya or Ukraine. All this will, in turn, require a much deeper understanding of alien political contexts, effective defence relationships with host governments, and the knowledge and confidence to respond rapidly and precisely to prevent an escalation. The new Force Structure will have to reflect this in education and training, the relationship with other government departments, a new appetite for uncertainty and risk, and the use of conventional military power not as an alternative to but as a support for political solutions. None of this will be easy. But the peace will not be achieved through isolation or inaction. The prudent use of military force has been a central contributor to the peace in Europe for seventy years, both in a deterrent capacity and playing a constructive role in countries from Bosnia to Mali. The UK can contribute significantly to restoring stability. But the current National Security Strategy is no longer adequate for this changed world, nor is the Future Force structure. It will be necessary to continue to commit to 2% of GDP to enhance the NATO alliance and retain US involvement in Europe. But this will not be sufficient. The UK will need to make tough choices within limited resources, about what to do, and perhaps equally importantly—what not to do. This will require immense discipline and imagination. But it is vital to rethink the fundamental assumptions of our Defence planning, if we are to help arrest the descent into chaos, which threatens to spread from the Western Mediterranean to the Black Sea.